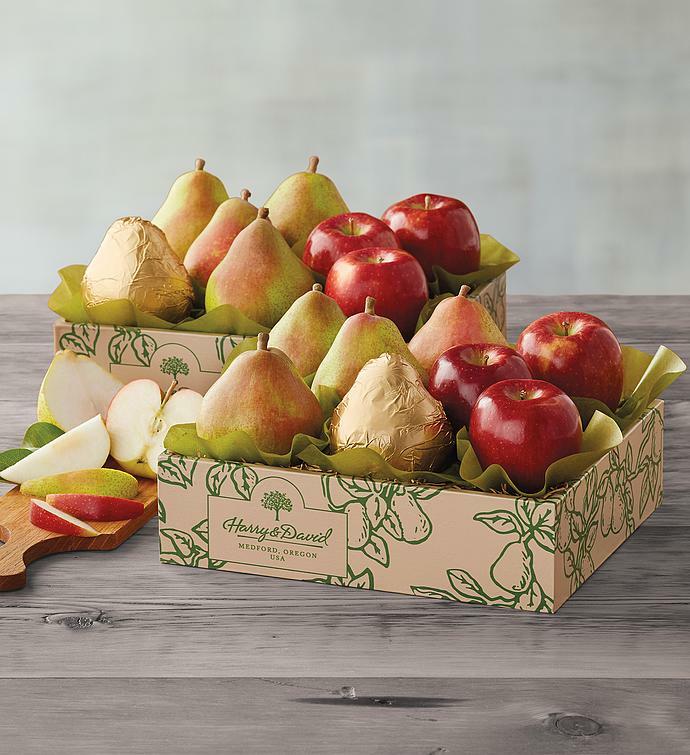 Enjoy twice as much handpicked gourmet fruit when you order our Pears and Apples Gift Duo. Featuring the same extraordinarily juicy Royal Verano® Pears and crisp seasonal apples as our Pears and Apples Gift, this fruit delivery is bursting with fresh fruit to share. Show your appreciation with a delicious fruit gift.